•	Viewpoint: The first day of negotiations for “Gainful Employment 2.0” offered little news or common ground from the public and private sector participants, and we expect the Department of Education to proceed with unilateral action and product a set of debt-to-income thresholds that will look very similar to the first version of gainful employment, released in 2011 but subsequently struck down by a federal judge following a for-profit industry appeal. •	Consensus is unlikely to be reached through negotiation given the wide gap between the for-profit industry representatives in attendance and those of the public colleges. In fact, some public college advocates appear more interested in derailing the negotiating process than reaching a consensus, likely because they view a unilateral approach to rule-making by the Department of Education (Ed) in the likely event consensus is not reached through negotiation as a positive scenario for most public colleges. •	While Ed appears to be taking a more conciliatory approach with the for-profit schools this time around (e.g., proposing special recognition for top-performing programs), it remains committed to releasing a final rule in 2014 that will go into effect in 2015. It is extremely unlikely that it will combine gainful employment rule-making with Higher Education Act reauthorization in 2014 or 2015. •	We expect no major new wrinkles to the structure proposed in the draft rules released two weeks ago (details on this in this note), with a debt-to-income and discretionary debt-to-income threshold the major provisions. We do not believe a repayment test will be added back as an eligibility metric, despite discussion of this in first-day negotiations. We note that the repayment test did not withstand legal review last year and was the major reason the initial set of rules were overturned, so we believe Ed is unlikely add it back in. •	Ed seems determined to subject more small programs to the rules. With the reduction in minimum program size to 10 graduates from 30 previously, Ed projects 11,359 programs will now be subject to the rules, up from 5,632 previously. This would favor the largest incumbent providers (of which most are publicly traded) and raise barriers to entry in the sector. •	While there was very little discussion of specifics, we believe the rules will likely be softened in the final iteration, as they were the first time around, with Ed unlikely to want to go through another extended legal battle with the for-profit colleges. And even though rule-making is not a legislative process, a take-no-prisoners approach seems unlikely given the administration’s continued focus on increasing the number of college graduates in the United States and the damage to the for-profit sector that has already been inflicted by the threat of the rules. •	Stock Thoughts. We continue to believe the range of potential negative regulatory outcomes for the space is narrowing, and believe the schools have largely adapted to the threat of new regulation. In particularly, we believe graduate debt-to-income ratios for current and future classes of students will likely show significant improvement over historical data in light of tuition freezes or cuts from many schools over the past few years (which should result in lower graduate debt) and enrollment and programmatic filters put in place across the sector and designed to screen out unprepared students (which should result in higher average graduate earnings). While the gainful employment rule-making process has the potential to create some near-term noise for the stocks, we expect the final iteration of the rules to look largely more favorable for the sector and believe the gradual return of stronger fundamentals for many schools in the space is the more important consideration for the stocks in the coming quarters. We attended the first day of gainful employment negotiated rulemaking sessions Monday in Washington D.C., which reinforced our view the committee is unlikely to reach unanimous agreement on a new set of standards and that the Department of Education remains wedded to some type of debt-to-earnings metrics not materially different than the draft circulated in late August. The day’s negotiations focused on DOE’s proposed debt-to-earnings ratios as well as other possible standards that could be used to establish Title IV eligibility for new and existing programs and concluded with a proposal to reintroduce a repayment rate metric as a “trigger” designed to simplify the process of identifying quality programs. There were few surprises during the debt-to-earnings metrics discussions, with representatives of proprietary schools acknowledging the need for some standard but criticizing DOE’s proposal as too onerous, inflexible, and predicated on poor data , while DOE contended its proposal was reasonable, and negotiators who have historically been critical of the sector argued DOE’s proposal is too lax. Given this unsurprising dynamic, we continue to believe the committee will most likely not reach consensus and that DOE, then free to regulate as it sees fit, will promulgate a gainful employment rule similar in concept to its draft proposal. While many companies in our coverage universe have already adapted their programs and tuition structure in ways that should benefit their gainful employment outcomes, we view DOE’s proposal as more onerous than the prior regulation that was voided by a district court and thus as a directional negative for the sector. Below are highlights from the second day of the U.S. Department of Education’s gainful employment negotiated rulemaking session. •	The day began with the Department acknowledging that limitations on marketing and advertising spending as well as cost of attendance changes are outside the scope of the committee’s review. •	Brian Jones of Strayer University pointed out that the 10-year amortization was inconsistent with the Administration’s push for students to enroll in Income-Based Repayment (IBR) and the other longer term repayment plans made available by the Department. o	More discussion followed with respect to loan debt, interest rates and stacking of credentials. •	Department counsel stated that the SSA match rate is in the 90s. •	Rhonda Mohr of Calif. Community Colleges objected to going from a cohort size of 30 to 10. The topic will be discussed tomorrow with a representative of the National Center for Education Statistics (NCES). •	More discussion ensued with respect to the transition period. Marc Jerome of Monroe College explained that the retroactive nature of the proposal made it difficult for institutions to adjust and impact the programs. •	Belle Wheelan of SACS objected to using loan data collected prior to publication of any final regulation. •	More discussion about debt ensued. Richard Heath of Anne Arundel Community College challenged the Department’s assumption that earnings are a result of a weak academic program. He pointed out that their costs are low, the programs are designed with businesses and that there is nothing they can do to reduce debt or boost earnings. •	Ray Testa of Empire Education Group raised the issue of student demographics and the failure to acknowledge that demographics matter. •	Della Justice from the office of the Kentucky Attorney General expressed the want for 70 percent placement rates, loan repayment and debt to income metrics for purposes of determining gainful employment. •	Department raised the idea of programmatic cohort default rate as an alternative metric or additional metrics using the same thresholds in place for institutional rates. This was immediately opposed by Barmak Nassirian. •	Department also raised completion rates as a possible metric and did not allow for any further discussion before moving on. o	The Department said it is not sure that it could require that under the Act. o	Wheelan and Justice discussed whether the school even should owe the student anything if they do fail. Justice argued they should, Wheelan argued they should not. o	The Department clarified that they are not out to close programs. The objective in the zone is that programs have a chance to fix themselves and do better. •	Nassirian asked if the Federal Trade Commission Holder Rule could be applied to suggest that students could use a program being in the zone or failing to the point of ineligibility as grounds for not repaying loans. •	During a discussion on alternative earning reporting, based on SSA data, the Department explained it dropped using Bureau of Labor Statistics data as an alternative because it has no relationship to the students at those programs and is not interested in considering adding it back in. It also said that the state data does not cover enough people to be of sufficient quality, and it is problematic and not viable, leaving survey data as the only alternative. •	At the conclusion of the day, there was discussion on forming subcommittees on various topics, such as upfront eligibility, opportunity to improve, treatment of grad students, ramping up requirements, placement rates and the repayment rate proposals put forth. The committee will hold a caucus tomorrow morning before the start of the public session to make a decision about which subcommittees to create. 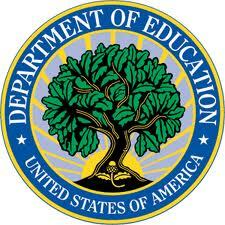 Below are highlights from the third and final day of the U.S. Department of Education’s gainful employment negotiated rulemaking session one. Session two is scheduled to run October 21-23. •	Groups will submit materials by September 30 to the Department. The Department asked that the extent to which thresholds are recommended that they be justified – this is obviously in response to the Court decision to strike down the 35 percent repayment rate as unjustified. •	Discussion ensued on the program approval process, one area where the Department made no proposal in the draft document. Brian Jones and Marc Jerome agreed to develop a proposal related to regulatory relief for exceptional programs. •	The Community College negotiator discussed the entire rigor involved in establishing new programs at public institutions. Belle Wheelan of SACS said accreditors ask the same questions of all institutions regardless of public, private or for-profit. Raymond Testa of Empire Education Group pointed out that 90 percent of his work is tied to state licensing with extensive state scrutiny. •	Jack Buckley, Commissioner of the National Center for Education Statistics, discussed why the Department thinks a sample size of 10 is worth considering. Buckley said the issue with “n” size is whether the data represent a sample; he thinks it does. He noted that the purpose of generating this data is not to make statements about the people we are collecting data on, but how the program is performing. o	Buckley said they used students from the Beginning Postsecondary Students Survey to do an analysis of the earnings, annualized payments, and debt, to draw different samples to see how often the results would be wrong for a program with given characteristics. o	In other words, how often a program that should not be failing be declared failing as a false positive. With 100 completers, he said it is basically never labeled failing incorrectly (0.4 percent false positives for one year), and when you think about failing two out of three years, it drops to basically zero. At 30 completers, the false positive rate is three percent and two out of three is less than one percent. At 10 completers, he said the odds of a false positive is 11 percent, but with the two out of three rule, gives you a probability of 3.6 percent being a false positive. o	Buckley said given the tradeoff of the number of programs that get picked up when you move from 30 to 10 completers, then the gain is worth the risk. He noted that this is only for a marginal program that is ineligible after four years. Looking at non-marginal programs, the likelihood of incorrect identification basically drops to zero. •	Buckley also discussed the problems NCES has had in the past on job placement rate determinations and the statistical standards for surveys, and the results of a Technical Review Panel that discussed this issue after the first GE rule was released. •	The panel turned to the issue of disclosures. Della Justice pushed strongly on a desire for a standard placement rate, noting that it’s very difficult because no one calculates them the same way. Libby DeBlasio of the Colorado Department of Law emphasized a concern about schools not putting information on a website that is easy-to-access or can be intuitively found. •	Rhonda Mohr from the California Community College system asked about the completion rate in normal time for students who do not attend full time. The Department said it will consider it. •	Whitney Barkley of the Mississippi Center for Justice asked about the requirement that a program meet programmatic accreditation in the state. Barkley noted that many times employers may have different requirements from what the state needs. For example, employers may require approval by one of two agencies for allied health, but the state does not require either. 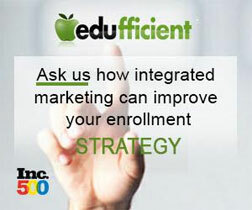 •	Ted Daywalt from VetJobs asked if the Department would accept self-disclosed marketing spending. Kolotos said the Department will consider it. •	Jerome asked if it would be possible to report repayment rates on all programs, not just gainful employment programs. The Department will consider it.